Home News trending! 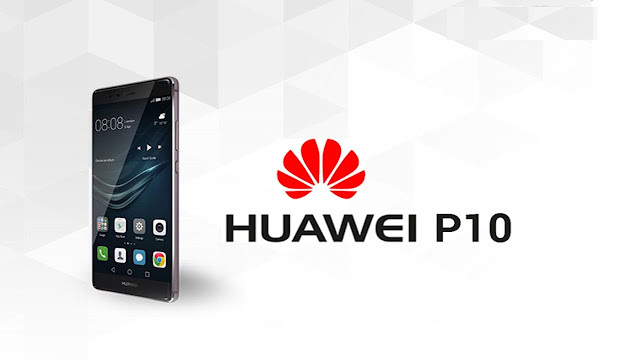 Technology Huawei P10 smartphone is expected to come with curved glass!!!!!! Huawei P10 smartphone is expected to come with curved glass!!!!!! Huawei appears to be prepping a truly high-end smartphone for 2017, a device that will give the iPhone 8 and Galaxy S8 a run for its money. Various leaks suggest that we’ll see a device with a 5.5-inch QHD screen (2560×1440), a Kirin 960 SoC (with a 2.3GHz octa-core CPU and Mali G71 GPU), 6GB RAM and 256GB of internal storage. One might expect a 12MP rear camera, an 8MP front camera, a curved display a la the Samsung Galaxy S7 Edge and a few other such touches. The device is also expected to run Android 7.0 Nougat out of the box. Huawei is the third largest smartphone manufacturer in the world, behind Samsung and Apple. The company has recently made a big push on the camera front, partnering with Leica for the development of a dual-camera system of sorts. The previous flagship, the P9, proved to be a very interesting device, offering some great features and an excellent camera. In our review, however, we found the device to be lacking some essential features, like support for quick charging, that reduced its value proposition. If Huawei is indeed building a flagship to take on Samsung and Apple, it better make sure that it’s thrown everything, even the kitchen sink, into the new smartphone. The Kirin 960 is an SoC that’s been designed by HiSilicon and manufactured on TSMC’s 16nm process. The chipset packs in four, high-performance Cortex A73 cores and four low-power Cortex A53 cores. Also included are eight GPU cores in the Mali G71 graphics unit. As GSMArena notes, the Kirin 960 isn’t just about faster cores, it also supports UFS 2.1 storage (for higher read/write speeds), LPDDR4 RAM and an LTE Cat 12/13 modem. Huawei appears to be prepping a truly high-end smartphone for 2017, a device that will give the iPhone 8 and Galaxy S8 a run for its money. Various leaks suggest that we’ll see a device with a 5.5-inch QHD screen (2560×1440), a Kirin 960 SoC (with a 2.3GHz octa-core CPU and Mali G71 GPU), 6GB RAM and 256GB of internal storage. One might expect a 12MP rear camera, an 8MP front camera, a curved display a la the Samsung Galaxy S7 Edge and a few other such touches. The device is also expected to run Android 7.0 Nougat out of the box. Huawei is the third largest smartphone manufacturer in the world, behind Samsung and Apple. The company has recently made a big push on the camera front, partnering with Leica for the development of a dual-camera system of sorts. The previous flagship, the P9, proved to be a very interesting device, offering some great features and an excellent camera. In our review, however, we found the device to be lacking some essential features, like support for quick charging, that reduced its value proposition. If Huawei is indeed building a flagship to take on Samsung and Apple, it better make sure that it’s thrown everything, even the kitchen sink, into the new smartphone. The Kirin 960 is an SoC that’s been designed by HiSilicon and manufactured on TSMC’s 16nm process. The chipset packs in four, high-performance Cortex A73 cores and four low-power Cortex A53 cores. Also included are eight GPU cores in the Mali G71 graphics unit. As GSMArena notes, the Kirin 960 isn’t just about faster cores, it also supports UFS 2.1 storage (for higher read/write speeds), LPDDR4 RAM and an LTE Cat 12/13 modem.